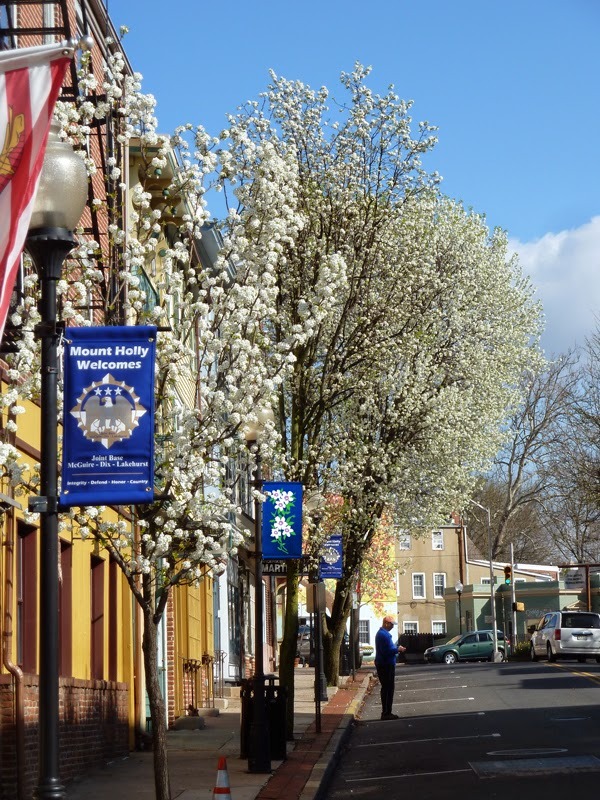 In 2013, we had the opportunity to work on an exciting banner project with Mount Holly, New Jersey. The township, which is located in Burlington County, is a short 35 minute drive from Philadelphia. This unique project gave us the chance to create banners that were not only striking and colorful, but honored the men and women in our armed forces. The crisp blue banners that were designed for this project feature the logo for the nearby Joint Base McGuire-Dix-Lakehurst. The base, which was established in October 2009, combines the United States Air Force’s McGuire Air Force Base, the United States Army’s Fort Dix, and the United States Navy’s Naval Air Engineering Station Lakehurst. We’re extremely proud to have been a part of this project and we think the banners look superb lining the streets of Mount Holly.